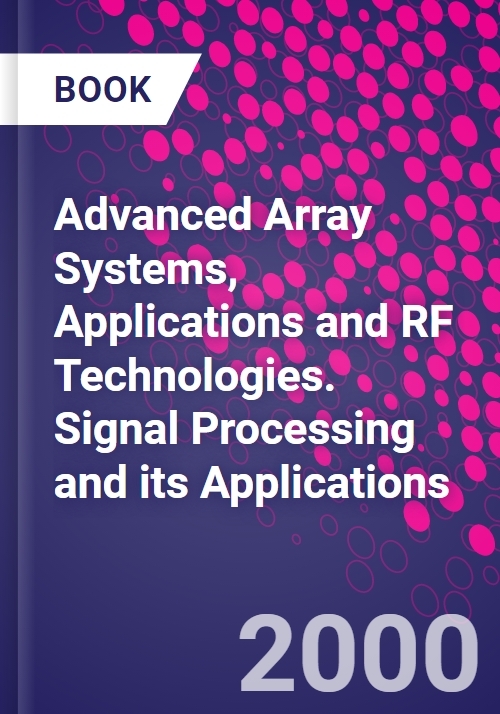 Advanced Array Systems, Applications and RF Technologies adopts a holistic view of arrays used in radar, electronic warfare, communications, remote sensing and radioastronomy. Radio frequency (RF) and intermediate frequency (IF) signal processing is assuming a fundamental importance, owing to its increasing ability to multiply a system's capabilities in a cost-effective manner. This book comprehensively covers the important front-end RF subsystems of active phased arrays, so offering array designers new and exciting opportunities in signal processing.